Fact: it’s OK for boys to play with dolls. Wandering the aisles in a toy store, it’s easy to see why they might think it’s not okay though; until now, most dolls have been marketed to girls. 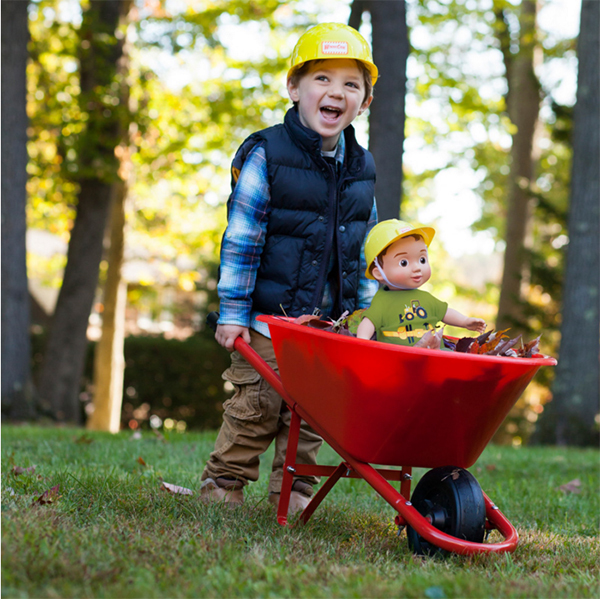 Wonder Crew is a company that’s overturning stereotypes by creating a line of dolls specially made for little boys. Wonder Crew was founded by Laurel Wilder, a psychotherapist and mum of a preschool-aged boy. When her son came home and informed her that “boys aren’t supposed to cry,” she was shocked and upset. There’s a plethora of research linking depression, anger and violence in young men to the sense that they shouldn’t express emotions, and it would seem the problem begins early. Laurel created Wonder Crew to encourage friendship and empathy in boys’ play. The packaging has a Marvel Comics superhero feel, and the dolls are boys, which all serves to dispel any sense that only girls should play with dolls. 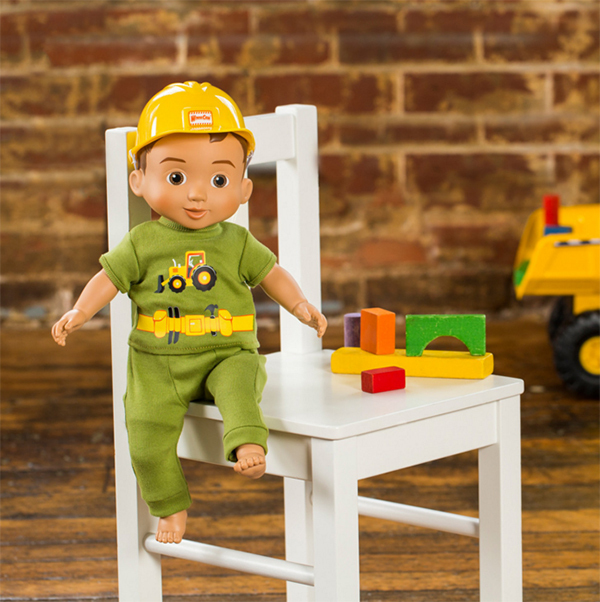 With a Wonder Crew doll, boys can do all the things they normally do: demolish the lounge to build a pillow fort, torment younger siblings by roaring and chasing them around the house, watch something, anything to do with dinosaurs, except they do it all with a little friend. 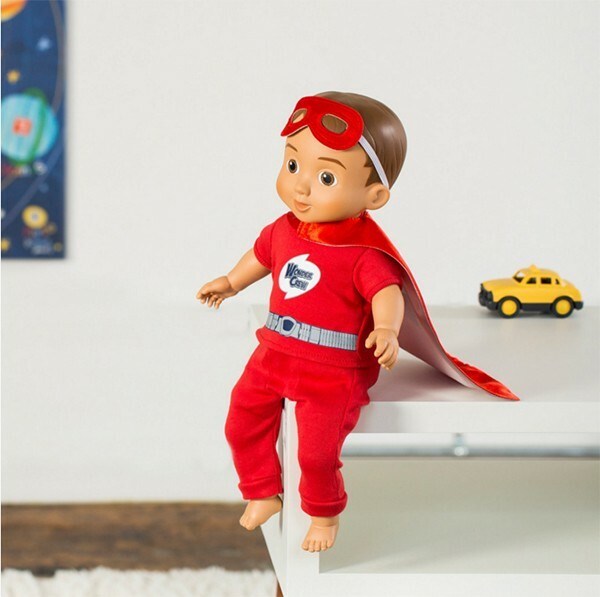 Wonder Crew dolls encourage creativity in play, kindness and confidence. What began as a Kickstarter campaign in 2014 has become a huge success. Crewmates have been shipped from the US to kids in five countries. Crewmates are kitted out with a different adventure ensemble. Right now there’s Superhero Adventure Will, and a Builder Adventure Pack so kids can swap outfits and stories. Dolls are a nice size, with a vinyl head and limbs, and soft cuddly body. The packs include a matching cape and mask or hardhat for the child to wear which helps foster a feeling of camaraderie or crewship. At the moment you can only buy Wonder Crew in America, but we’ll let you know when they’re stocked locally.